The widespread fashion for jogging caused that an increasing number of Poles has decided to practice jogging and long-distance running. We run to improve the body's physical and performance capacity, increase its immunity, and improve our well-being. On the other hand, we all know the risk of trauma and injuries. So can running negatively affect the condition of our joints? Make sure if the high pressure forces that occur when running contribute to joint degeneration. Learn the rules of proper shoe selection and the preparation of joints and muscles to run, while minimizing the risk of injury. Workers at Norfolk University (USA) have made an analysis of the load on the joints when running. 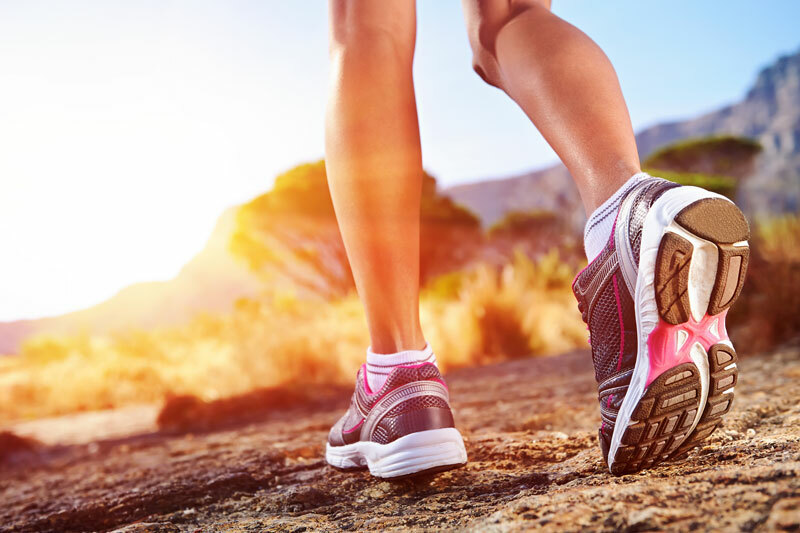 In a study carried out in 2016, 10 women and 10 men were compared, the articulation of the joints during walking without inclination, with a slope of 11% and running at 8 km/h. The results showed that when running, the vertical response force of the substrate increased by 45% compared to walking. Proportionally, loading of the joints is increased by 45% during running. The forces that act on the ankle, knee and hip can exceed up to five times the body weight of the runner. There is also a noticeable increase in load dynamics that can reach up to 10 times the body mass. This means that the load of the joints while running is significant. For comparison, performing squats causes a load on the femoral joint and the femur and the tibial joint between 2.5 and 7 times the weight of the body. This means that a person weighing 50 kg and performing a squat loads joints with a force of 125 - 350 kg. Research has also shown that running with landing on the heel can be very dangerous for the joints. Therefore, amateur jogging should be replaced by the correct technique, i.e. when we land on the front of the foot. This way we will provide more muscle cushion. Running is not recommended for obese people who have not previously performed physical activity. In order to ensure that the joints adapt to new loads, marches and walks should be used in the first place to prepare the body for increased activity. To reduce the possibility of injury, you should select the appropriate intensity of training. Running up to 70 km per week should not cause a significant increase in injury to runners. However, if we are planning long distances, we must be aware that the risk of injury in the lower extremities is greatly increased. Running is a very popular sport, mainly because it is extremely versatile. We can run everywhere, at any time, without special preparation. However, in order to make running more comfortable, we have to make sure that shoes are properly adjusted. All foot and leg muscles and joints are involved. So choosing a professional running shoe is not a matter of fashion. If we choose ordinary sneakers, we must know that they have no construction that relieves the legs during the run. Inadequate shoe selection can have very negative consequences. From lack of comfort, abrasions and fine prints, injuries of the feet, knees and even the spine. If you want to find shoes that are perfect for you, you can use a professional gait and running analysis on a podometric track. Numerous sports medicine centers or specialist runner shops offer a diagnostic test that allows you to adjust the correct running shoes. During the test a recording is made that records movement up to 200 times per second. Based on the recording, an analysis of the pelvis, knees and feet is made to capture significant abnormalities. In addition, the recording analyzer is also able to detect the tendency of the foot to set in pronation or supination. Foot pronation is nothing more than the natural movement of the foot inward that the foot makes while running. It allows you to cushion the shock that may result from the body hitting against ground. In case of excessive pronation, the foot twists inwardly which can result in injuries. In the case of a supination, the foot moves outwards. Excessive supination can cause problems with natural cushioning in the event of a shock. Problems with supination can be balanced by choosing the right shoes, which are equipped with cushioning systems. Definitely most people have pronation feet, so such that are put inward. About 40% of runners have neutral feet. The least common are the supine feet - only a few percent of runners have this type of foot. However, if we belong to the last group of runners, then appropriate depreciation is crucial. When preparing for the run, we can also perform a stabilographic (dynamic) examination that evaluates proprioceptions, balance and neuromuscular control. By doing this, we will verify if our body is able to maintain a stable posture. Thanks to this, we will know if our body is susceptible to injuries. The greater stability and neuromuscular control, the better the cushioning of the body. This is good news for us. Because it means we are not susceptible to torsion of the ankle or knee joint. Proportionally to the amount of miles traveled, cushioning of shoes is also reduced. This means that after some time we should change sports shoes to new ones. Running shoes are made of two types of soles - outer and inner. The foamed outsole is made of a mixture of foams which is responsible for adjusting the feet and body to the ground. Sports shoes retain their power for cushioning for about 500 - 1,000 km of gear depending on their quality, as well as the technique and gearing. Shoe fitting should be done in the afternoon when your legs are slightly tired and swollen. You will then create conditions similar to those in the run when the foot is tired of running. The shoe should be slightly larger than the foot to provide some reserve for the big toe. Sports footwear is made of durable and non-stretchable material, so we should not expect the shoe to stretch. Think about where you will most likely run and choose a shoe that fits your ground type. Depending on whether you run on asphalt or on forest paths, you should choose a shoe with the right sole. Asphalt running shoes are lightweight and, most importantly, have a high cushioning factor. Cross-country boots, in turn, have a thicker sole and additional reinforcements on the upper to provide stability and cushioning. Let's also remember to choose the right running gear. A well-matched runner's outfit prevents tissue inflammation or exudate in the joints. Depending on the weather conditions in which we run, we also need to take care of a proper outfit. If we often run in extreme conditions, we have to be prepared for this. Running upwind, we tighten the muscles of the neck and shoulders, which can eventually cause headaches and soreness. In such conditions, we have to bring a cap, jacket with wrist straps and trousers with ankles. Remember to do a necessary warm-up, during which we warm up the muscles of the upper part of the trunk. If we run in the rain we must remember about waterproof shoes with a thick sole that will help cushion your foot. A waterproof jacket with a hood and trousers will also be a very important part of the wardrobe. Thermoactive underwear will be very good to protect against skin irritation. Properly chosen clothing is essential during winter running. When running in the winter, we have to choose shoes with the right soles, which will provide grip on slippery substrates. It is also recommended to choose a non-sloop area. When running high snow, the knees should be raised high, which significantly increases joint overload and increases the risk of knee twitching or muscle damage. It is obvious that 'movement equals health', on the other hand, we must be aware of the possibility of numerous injuries. Running can damage our joints if we do not take appropriate steps to prepare for running. Running is certainly a strain on the joints, but a good stretching exercise, which should precede running, can greatly prepare our joints for increased effort. Although running seems to be a very simple operation, cross-country skiing requires many years of polishing skills and slow adaptation. Unfortunately, most amateur runners completely skip this stage and go too fast to intensive and stressful cross-country training. Running with landing on the heel, is a sign of runner - amateurs who are exposed to numerous injuries. In addition, choosing the wrong jogging surface and excessive weight and abnormal diets can make jogging worse for them. These factors can directly contribute to the occurrence of numerous injuries to the knee, shoulder and even elbow joints. HOW TO IMPROVE THE CONDITION OF THE JOINTS? Before starting to run, we should first strengthen the knee joints. Exercising the right muscles around the knee joint (biceps and quadriceps) will increase the stability of the joint, which will directly help us to avoid injury. When running, knees are primarily exposed to the injury, which results from the above average explotation of the knees during running. In addition, people who do not have good cross-country skills are particularly vulnerable. Strong hits on the ground increase the load on the knee joints. Professional runners start a step from the middle of the foot, reducing arthralgia and the risk of injury. Overweight athletes are also exposed to injuries, where the burden of knee joints is due to excessive weight. 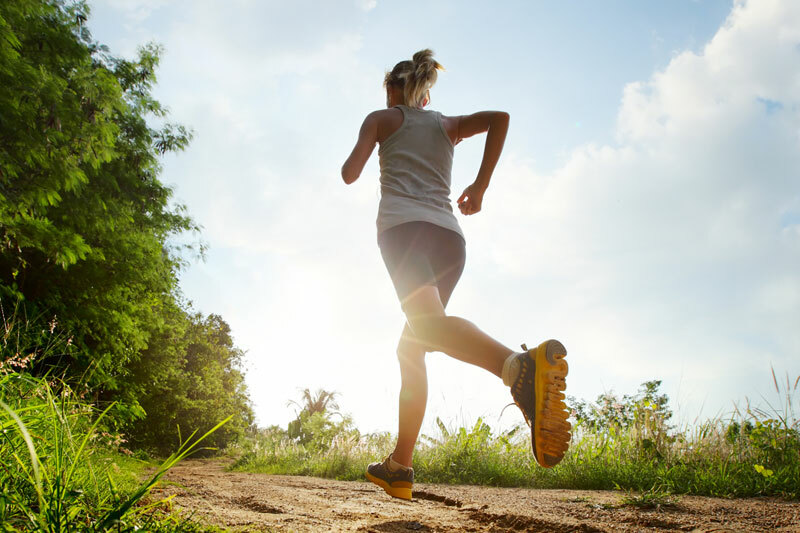 Amateur runners who would like to start a jogging adventure while minimizing the risk of joint injuries should start running from a soft surface. 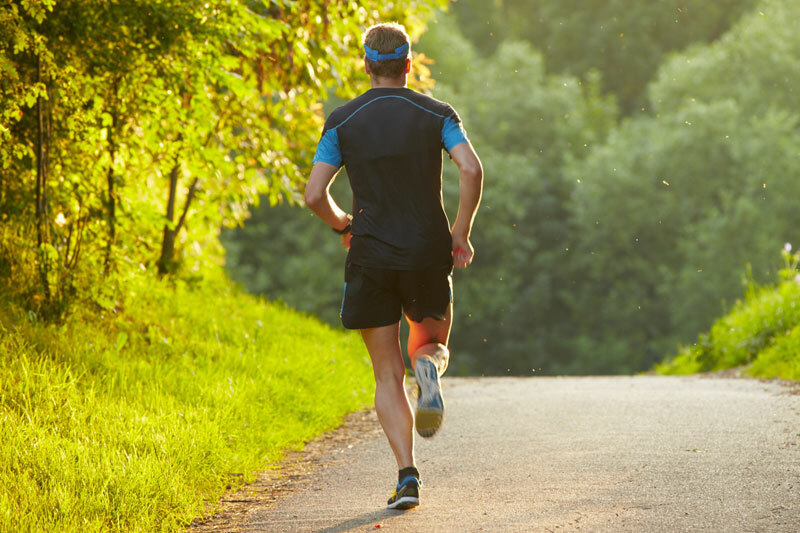 Running on asphalt or concrete only increases the risk of injury. Individuals who have been diagnosed with injuries or joint degeneration may suffer from hurtful pain. In order to prevent and improve joint health, it is recommended to use the HCK complex contained in Hyalutidin HC Aktiv. The supplement contains hyaluronic acid and chondroitin sulphate, which, thanks to the liquid form, quickly penetrates into the circulatory system through the digestive system. 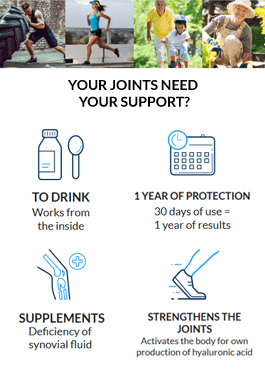 All athletes who have been diagnosed with arthralgia as a result of increased joint burdening are recommend the highly effective and easy to use Hyalutidin supplement. Thanks to that, you will be able to return to your sports passion and forget about joint pain.